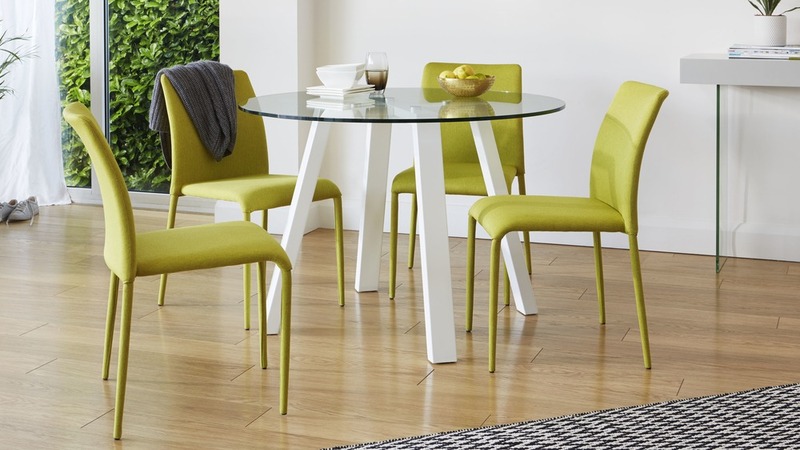 Revitalise your dining space with the Arc and Riva 4 Seater Glass and White Gloss Dining Set. 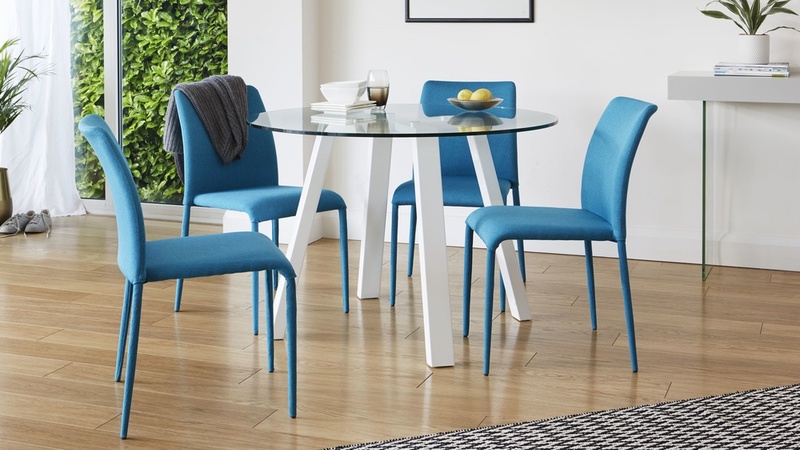 This modern dining set combines a round glass table with four cosy fabric dining chairs to offer you and your family a space to come together for mealtimes. 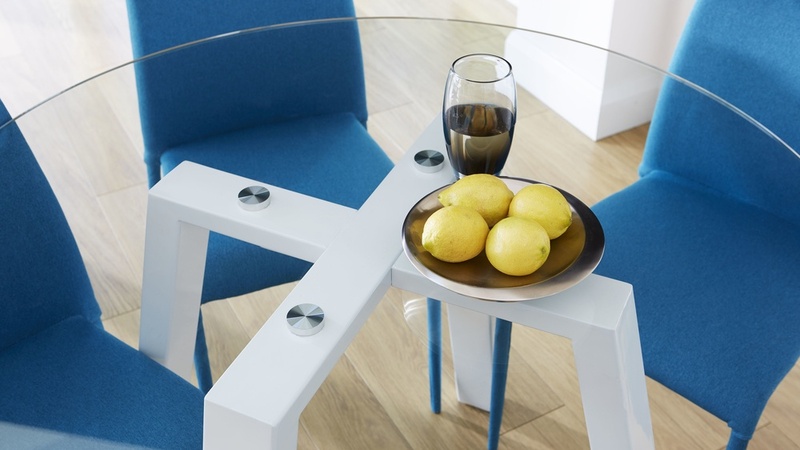 The Arc glass table can comfortably sit 4 people, measuring 110cm in diameter and 75cm in height. 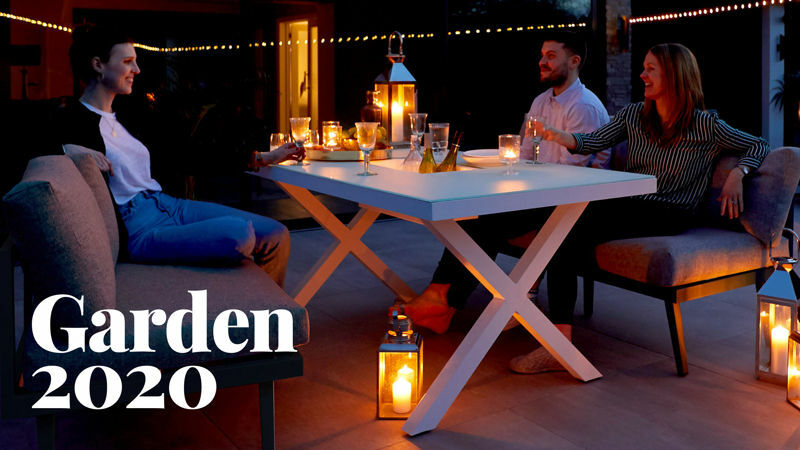 This makes it a great pairing with the Riva stackable seat, as you can stack and store any extra seats and then put them out when friends or family pop round for dinner. 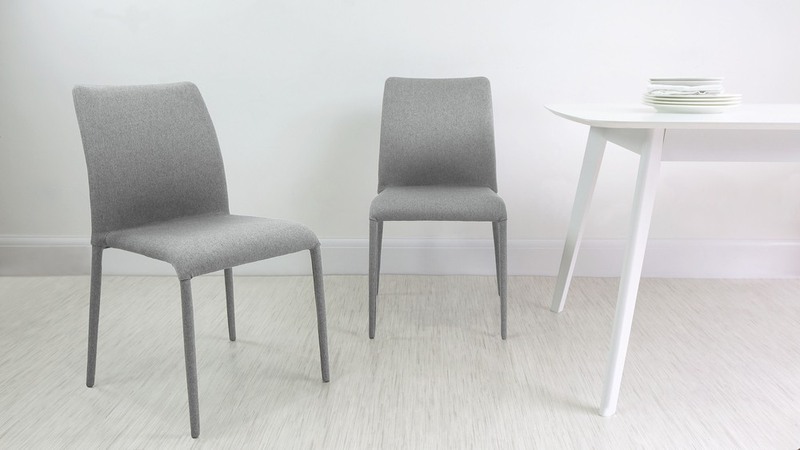 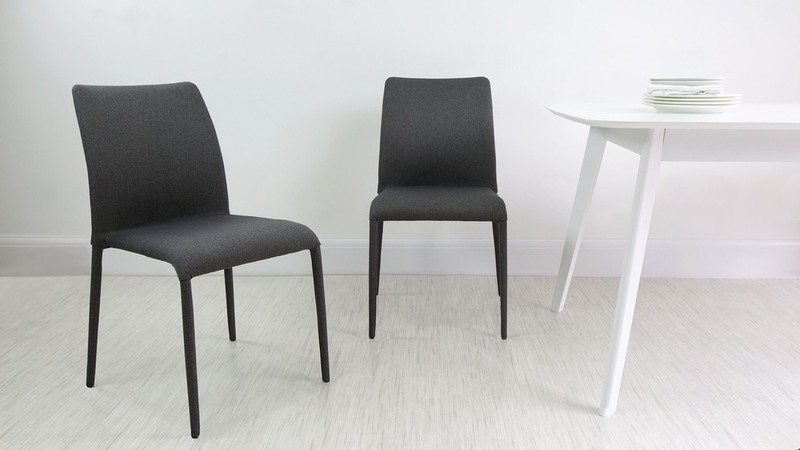 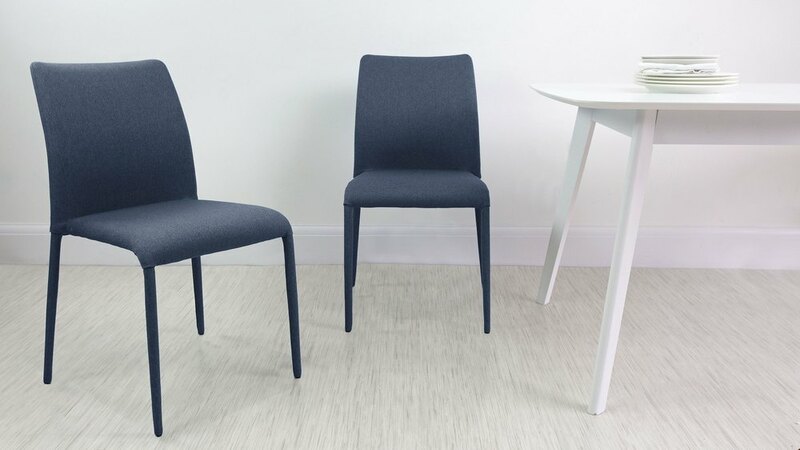 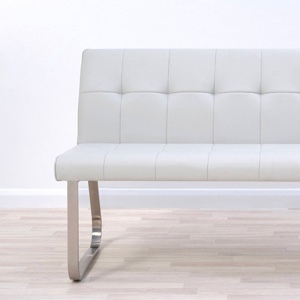 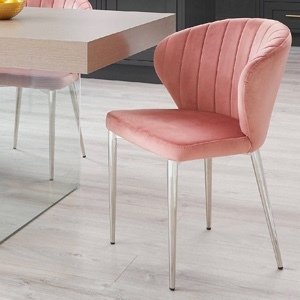 The Riva chair is completely upholstered making it stand out for its clean lines and simplicity. This is done by hand to increase its durability and ensure a technical neatness. 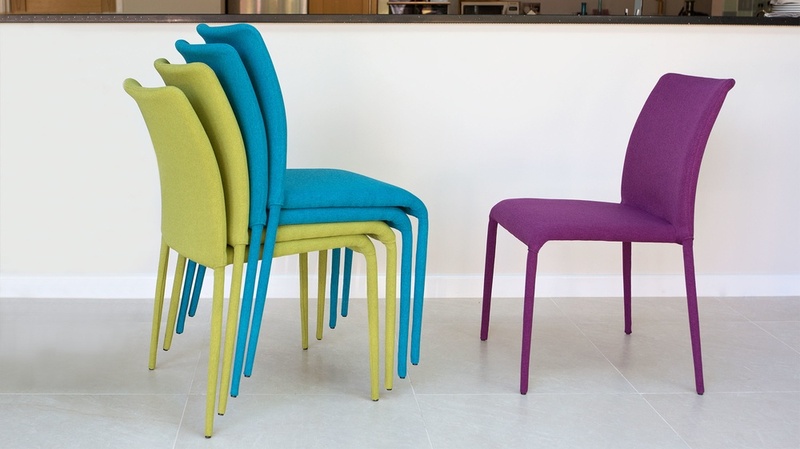 The colourful Riva dining chairs are upholstered in a multi-tonal melange, plain hopsack fabric. 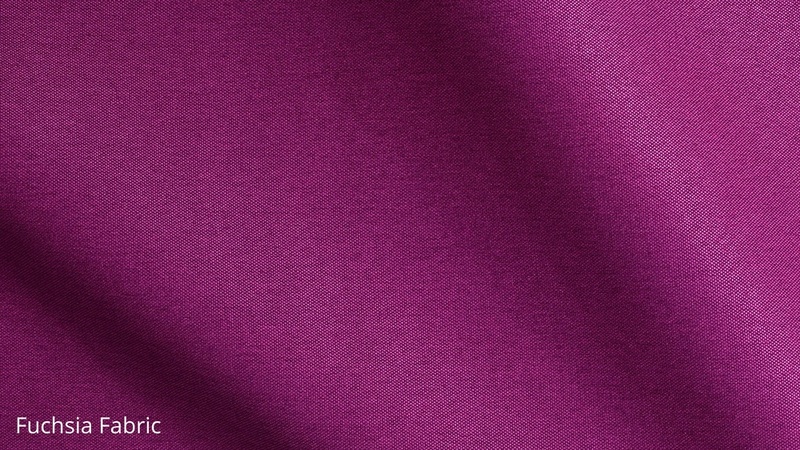 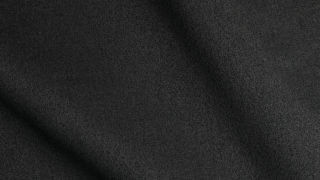 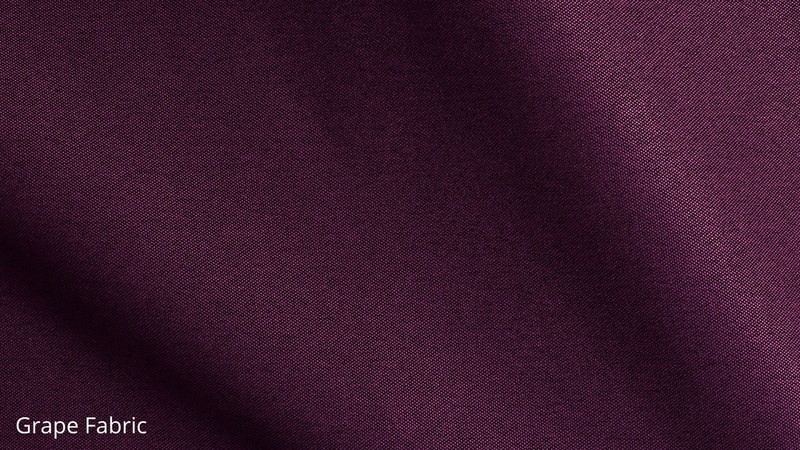 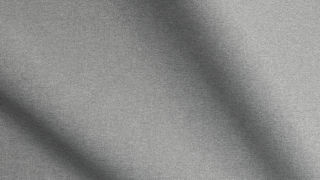 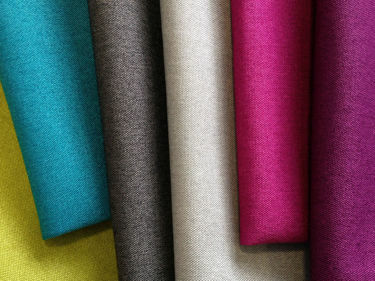 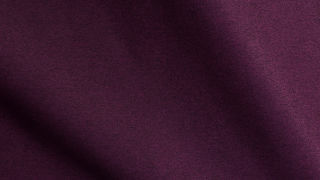 This is an ideal material choice as it's great for introducing a splash of colour and also won't show signs of wear and tear as much as a solid plain fabric. 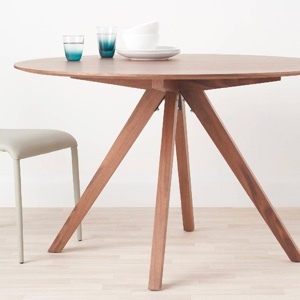 The Arc dining table has all the stability of a four-legged table but with the space friendly qualities of a pedestal table. 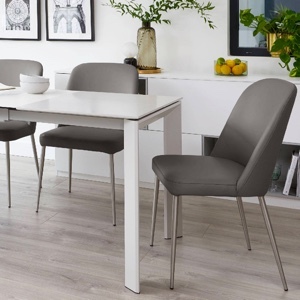 This, combined with the round clear glass table top, makes it incredibly useful for when you are perhaps a little pushed for space, or if you don't want a large dining table occupying lots of your room. 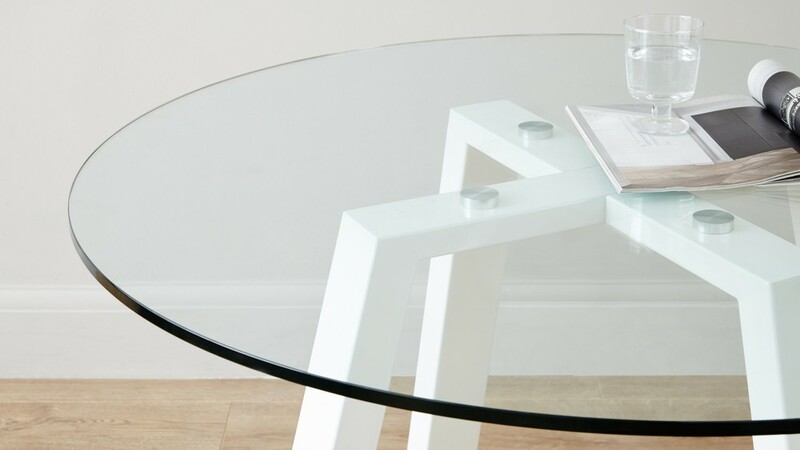 The tempered glass we have used for the Arc table top is incredibly safe, durable and easy to maintain. 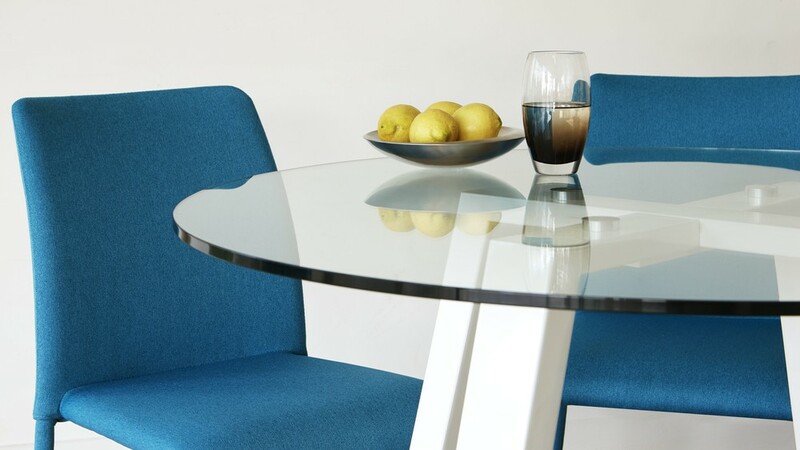 Tempered safety glass is one of the most durable surface materials you can get for the home, so you needn't worry about the glass being fragile around your friends, family and young children. 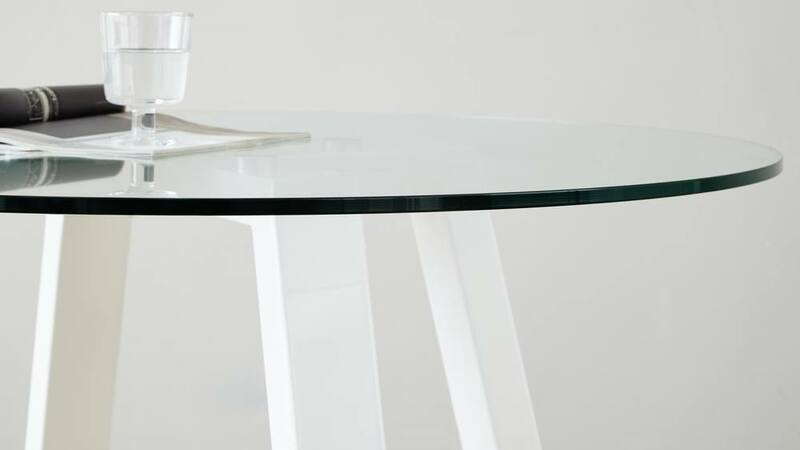 A thoughtful feature of the Arc table is that the leg frame actually crosses under the tabletop, rather than the legs just poking out from the underside of the glass. 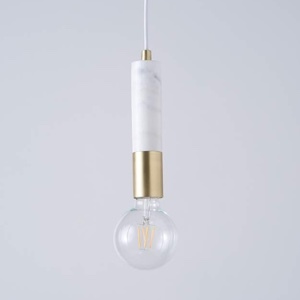 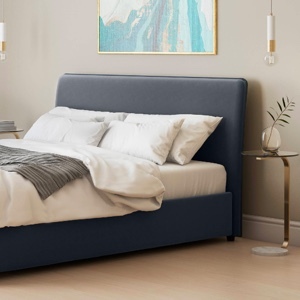 The underframe is not only a stylish design feature, but it also adds both extra support and stability. 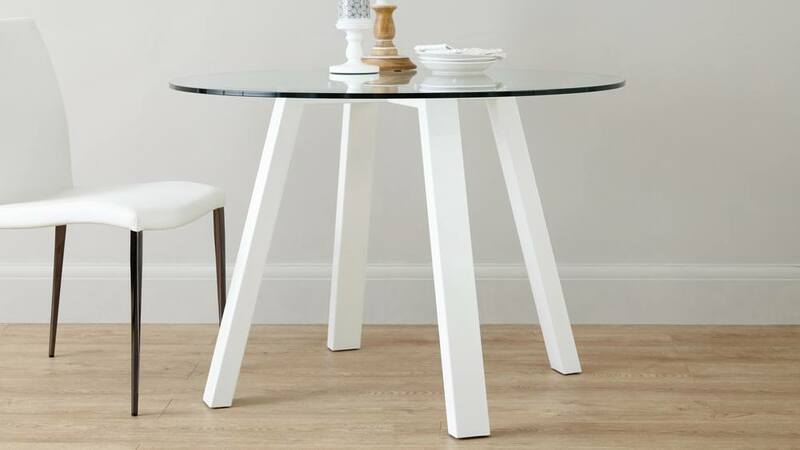 The steel legs of the Arc dining table are treated with 3 layers of white high gloss that are dried for 24 hours in between each coating. 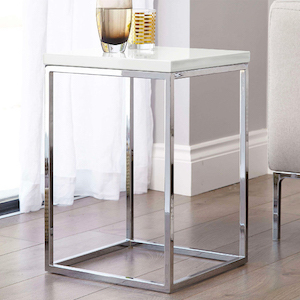 The legs are then polished, by hand, to really perfect a high shine and to ensure a hard finish that is highly reflective and durable. 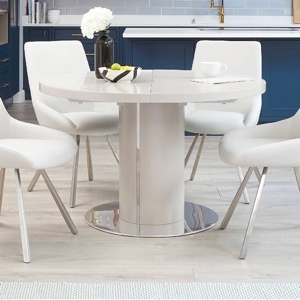 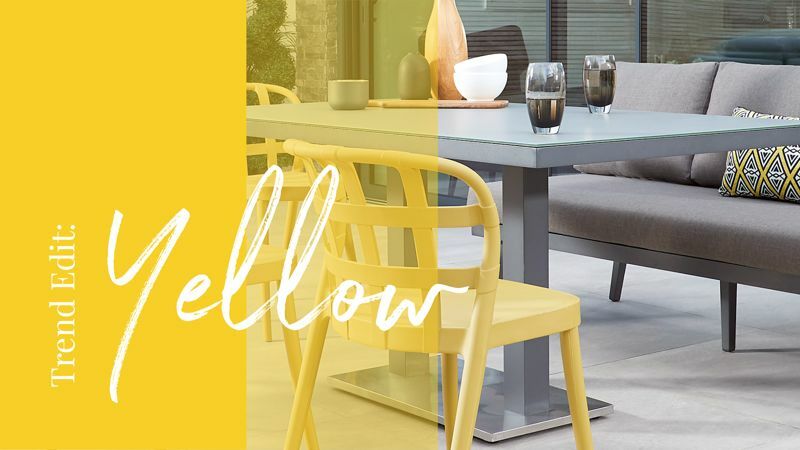 If you'd like some more information or would like to view the products separately, be sure to take a look at the individual product pages for the Arc Dining Table in Glass and White Gloss Dining Table and Riva Stackable Fabric Dining Chair. 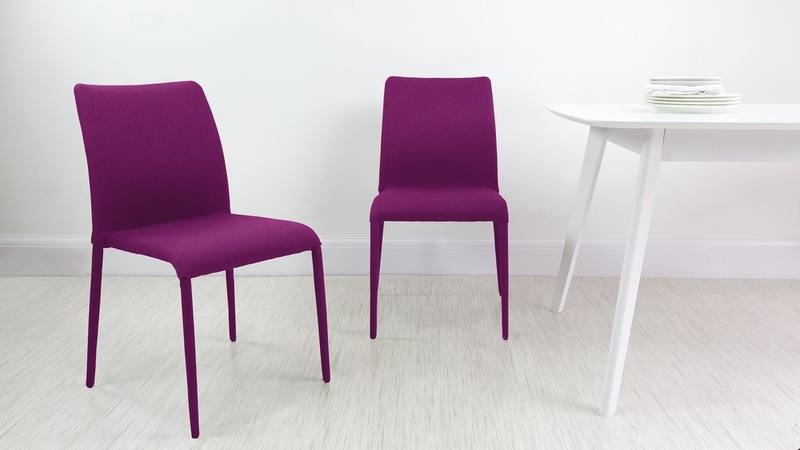 This bright and bold chair is fully wrapped in colourful fabric to create its soft and streamlined appearance. 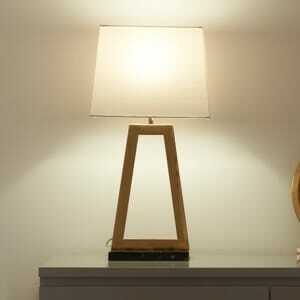 This is done by hand to ensure both a technical neatness and increase its durability. 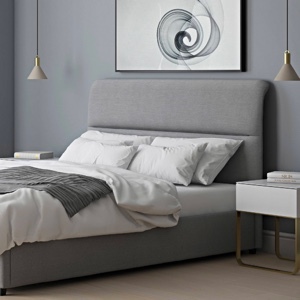 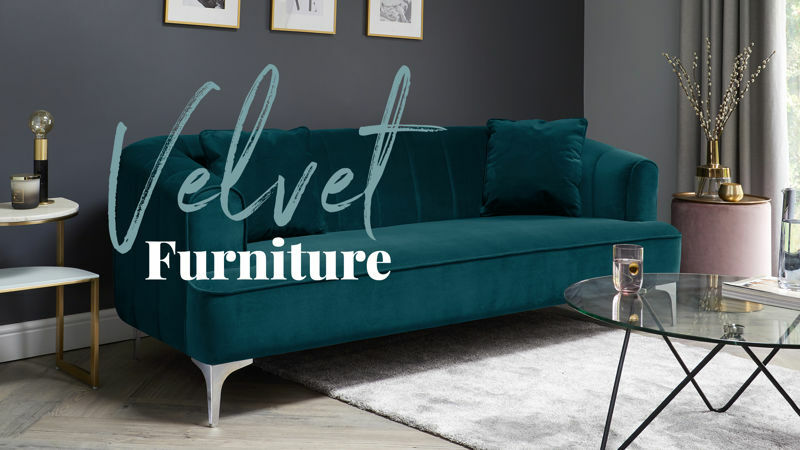 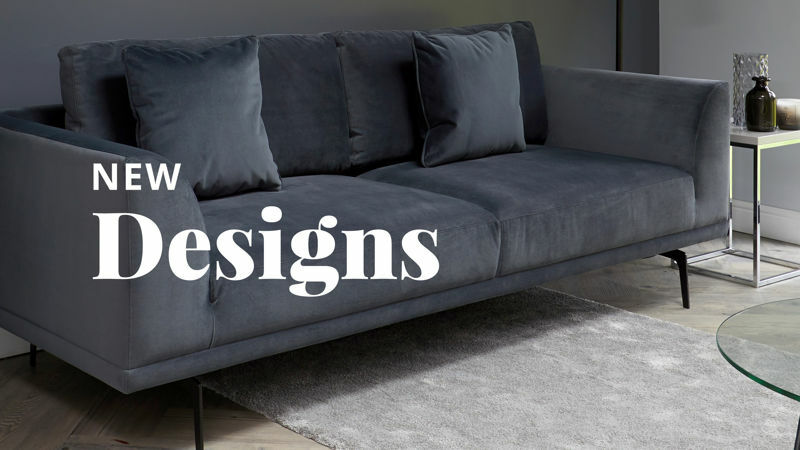 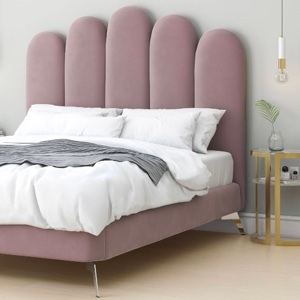 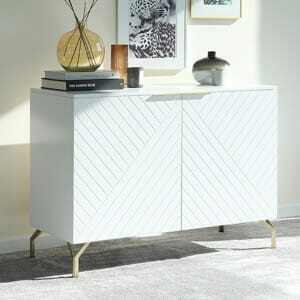 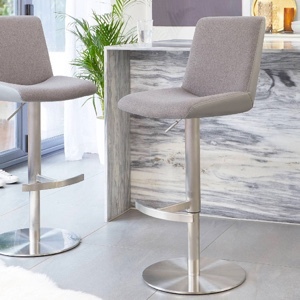 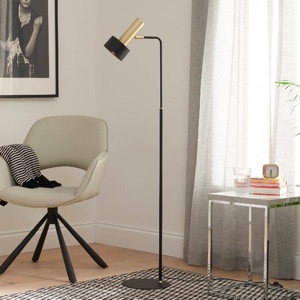 It’s a well thought out feature as it means you don't have to worry about the legs clashing with existing textures such as brushed steel or chrome. 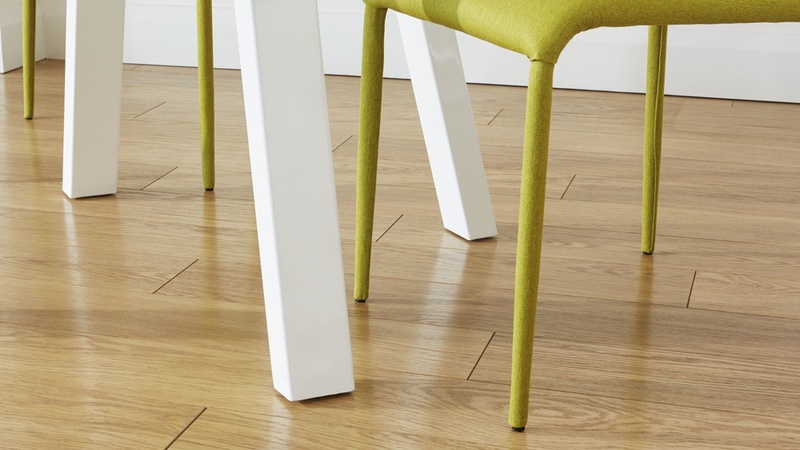 The subtle floor protectors are in place to protect both the chair legs and your flooring.